Cmm-10/15 Mobile Oil Plant - ! Equipment for Transformer Oil Reclamation. GlobeCore. 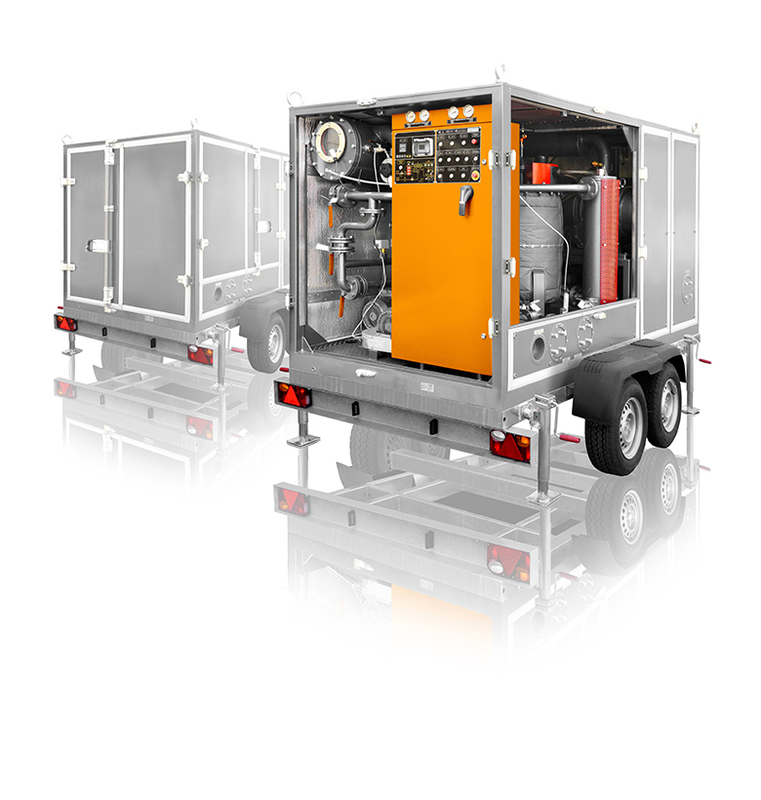 The unit is built as a self-contained unit with all components and operating assemblies protected by metal panels and easy opening gas-spring loaded doors on the sides and back of the unit. The “Containerized”unit is placed on a tandem axle trailer that is street legal and ready to be towed to any remote location. The unit consists of a vacuum chamber, input and output oil pumps, coarse and fine filters, oil trap, oil heater, pipelines with valves, vacuum pump section and a control cabinet.